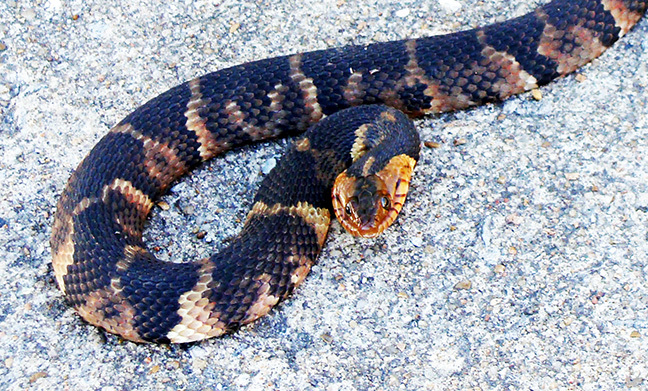 The larger of the two eastern coachwhip snakes to show themselves today had milky eye scales — a sign he’s getting ready to shed his skin. 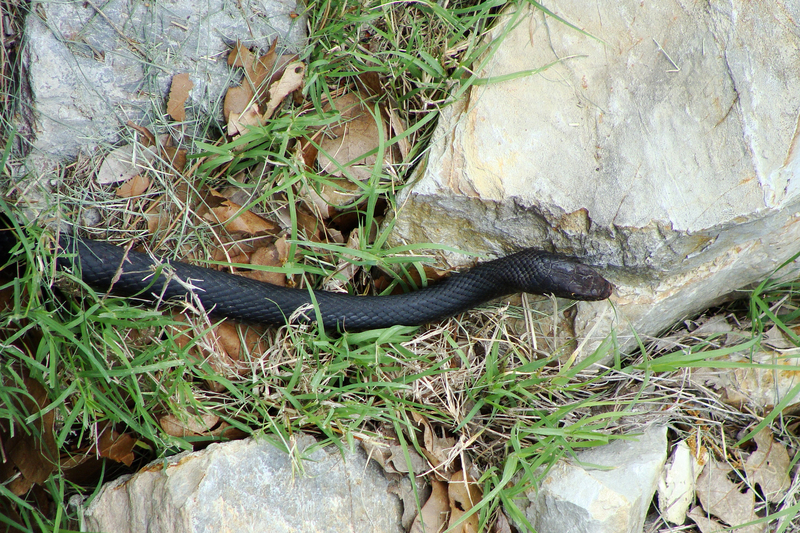 This fellow curled himself in a warm stone and dirt hollow in the hillside. Only noticed him when I heard the sound of his scales sliding against the stone after trimming some of the growth on the hill. Someone else in the burrow apparently shed within the last 24 hours. Found a still-moist whole skin measuring more than 6 feet woven between the stalks of the pokeweed plants. 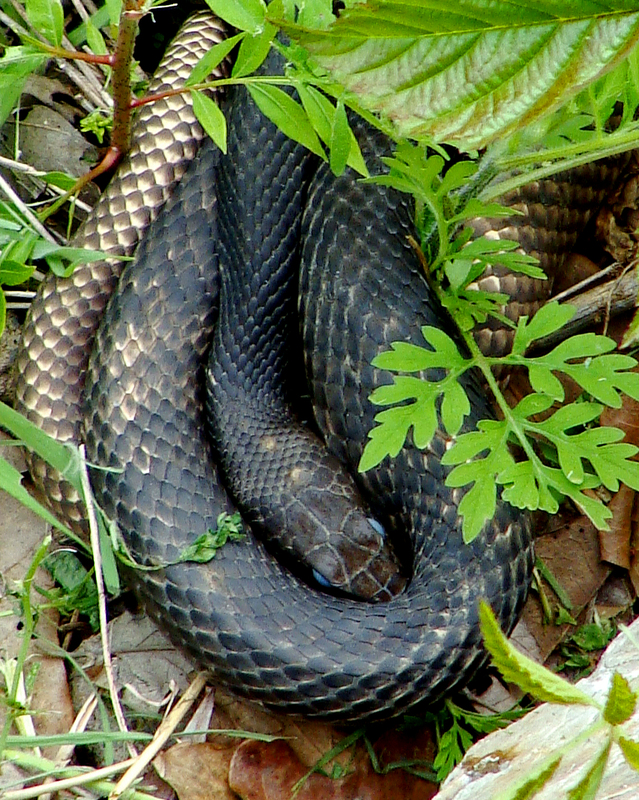 Eastern coachwhip curled up in a warm dirt and stone bowl below the deck. 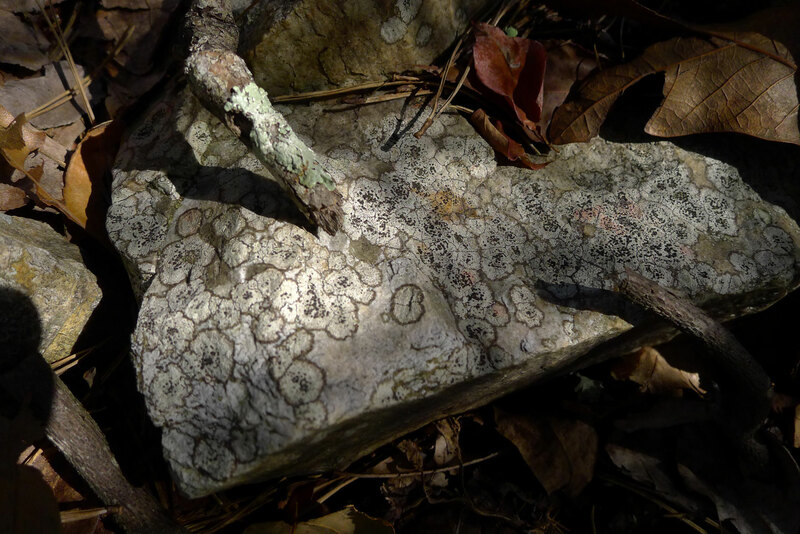 A few days after we gathered the really big snakeskin, a second one, which may have been even longer, appeared, threaded through the bases of a big poke sallet plant. However, the 100-degree heat had cooked the skin into becoming too fragile to recover, and so it remained. 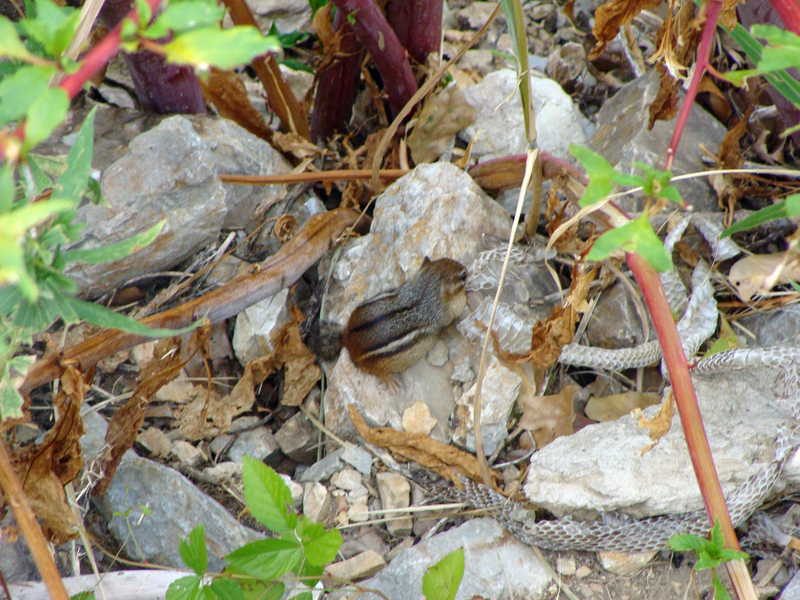 Looking down from the deck yesterday, we spotted a chipmunk rustling around in the rocks and grass, figuring he was nosing around for seeds. 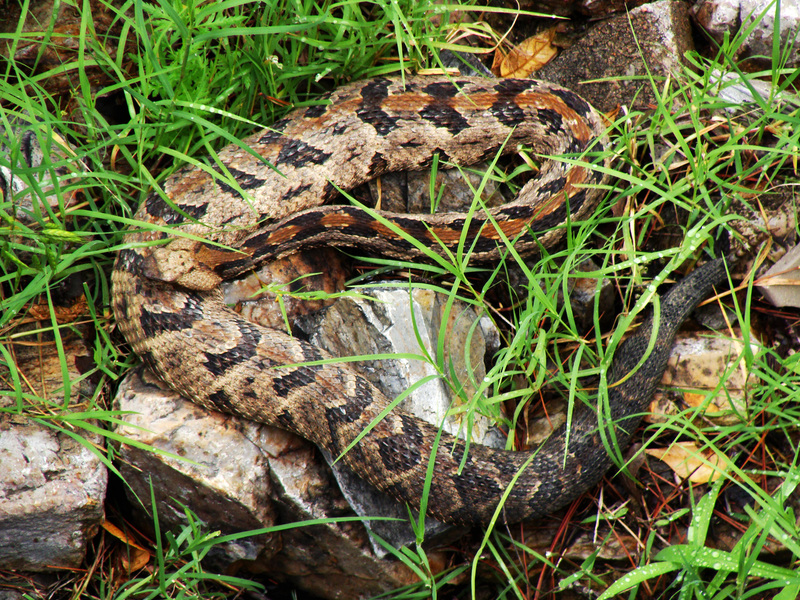 It was shocking to see the little guy grabbing the snakeskin and chew on it. We never thought of chipmunks as being anything other than cute little acorn-nibblin’ vegetarians, but we now know them to be omnivorous. 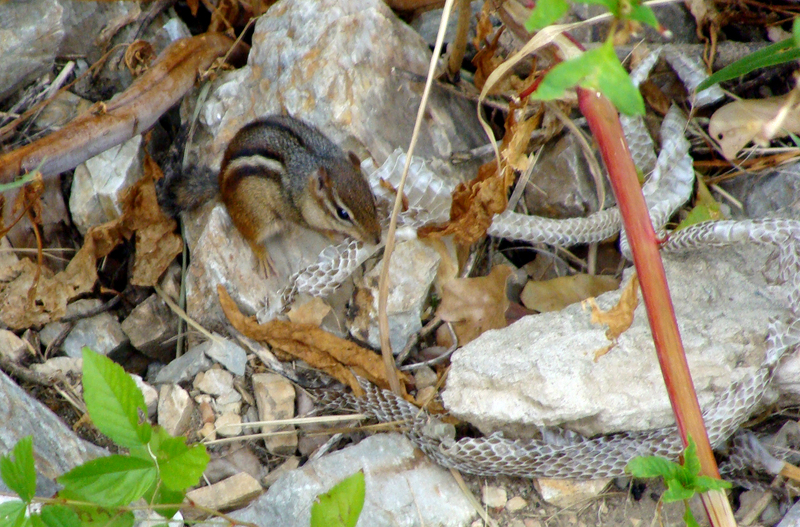 SCAVENGER — Chipmunk nibbles on a snakeskin. PROTEIN FIX? — Chipmunk supplements his diet. 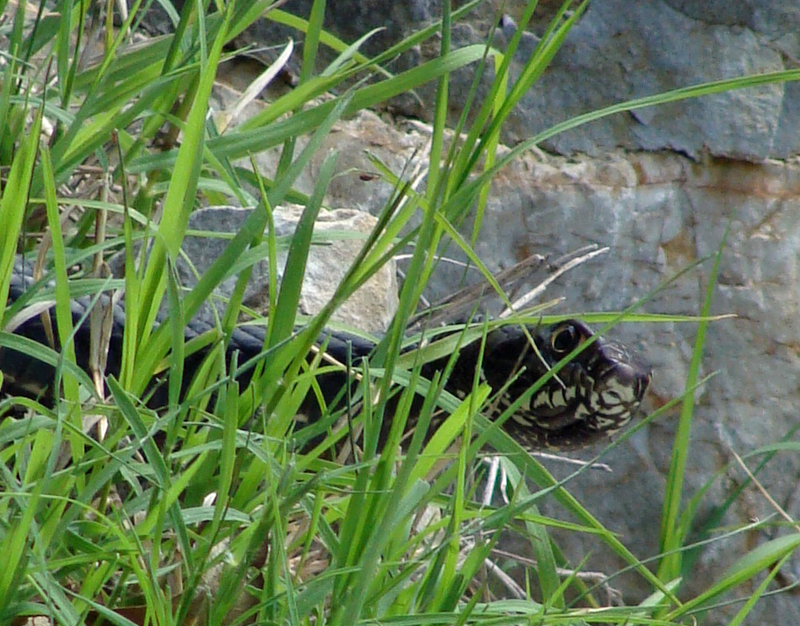 More of our local reptiles showed themselves on April Fool’s Day. 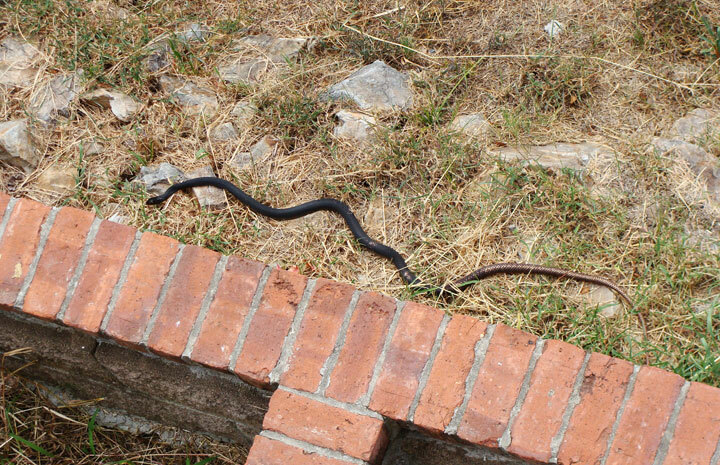 The long coachwhip stuck his head, and a few inches, out from under the porch and a big fence lizard made himself at home on the deck. CAN YOU SEE ME? 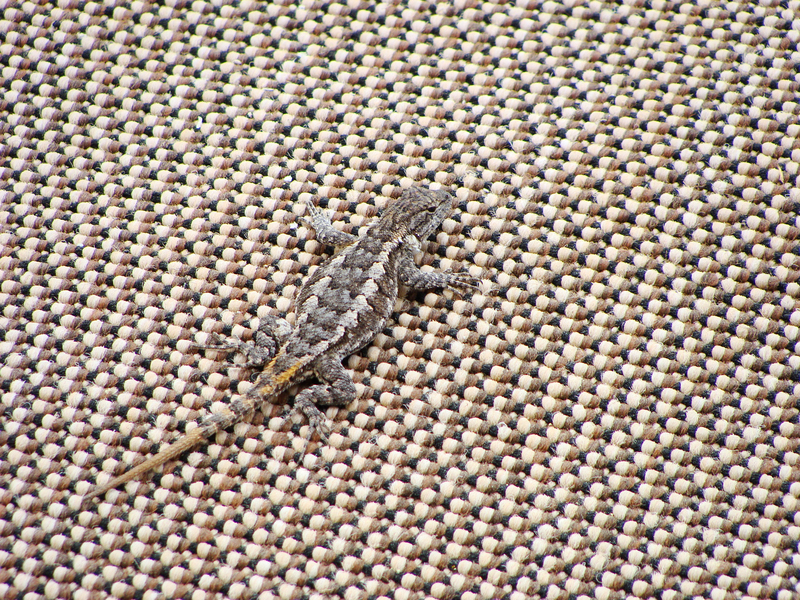 -- Big Jake, the big fence lizard, finds the deck's outdoor carpet to be a great place not to be seen hungry hawks. 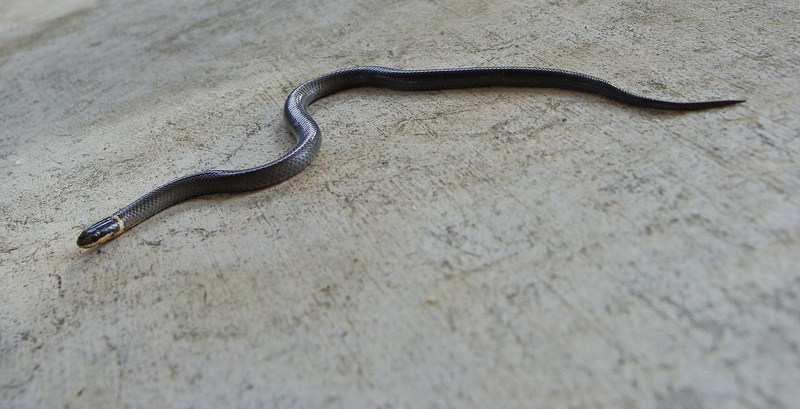 COMING OUT -- The under-the-porch coachwhip comes out for some sunshine on April Fool's Day. It was our first sighting of him (or her) this year. 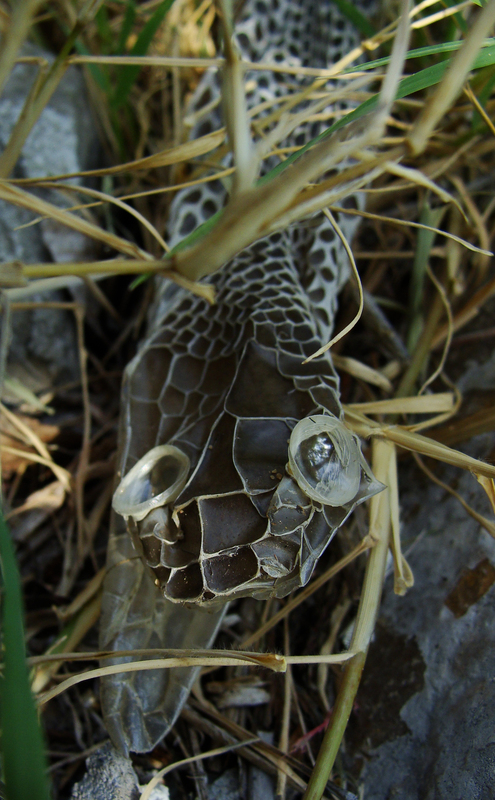 EYE ON YOU -- The coachwhip turns to face the photographer. It's tough stalking a snake!